Saturday 06-05-2010; Lisa, Alice, Rachel, Nathan, Ridgeline Dave and I climbed Spanish Needle. It was a hot day and we all were low or out of water by the end of the hike. 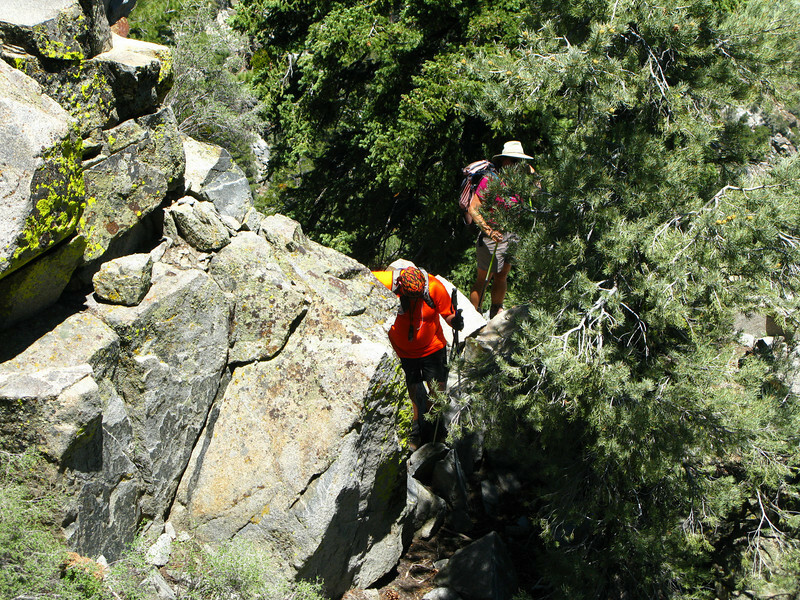 Still a few of us got to try the chimney to the upper summit rocks - a nice variation. We all agreed it had been too long since we had done anything with any exposure.